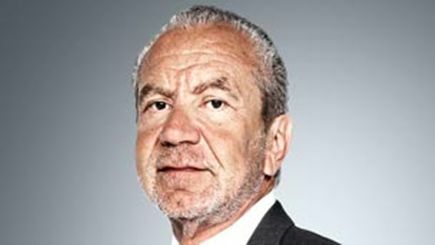 Almost everyone who has heard of Lord Sugar knows that he started out selling to a rag-and-bone man and found his early returns on car aerials before moving up the technological pecking order to computers. At 63, TV’s favourite entrepreneur is still putting in the leg-work. This week he hot-footed it around London, with Smarta in attendance, promoting his memoir What You See Is What You Get. The multi-millionaire founder of Amstrad has always been a grafter. But, had he fully grasped the hi-tech nettle, Sugar could have been the UK equivalent of Bill Gates or Steve Jobs. Some irony then that one of the events to promote his book was held at Apple’s Covent Garden store in London. Surrounded by gleaming Macbooks, iPads and iPods (who can forget his ill-fated prediction: “Next Christmas the iPod will be kaput!”), The Apprentice star dished out familiar wisdoms to questions on his business-savvy and success. This back-to-basics principle is going to inform the next series of The Apprentice, a move that has come at Lord Sugar’s behest. “After the first series, I naively allowed the production people to go off the rails a bit and it started to get a bit too close to Big Brother. The candidates were there for the wrong reasons,” he said. Sugar was on barnstorming form. He criticised the new generation of entrepreneurs, citing the “expectancy culture” as the enemy of entrepreneurship. “There’s too much of this fast-track, make a quick buck culture and it’s got to go,” he said. Sugar firmly believes that entrepreneurial spirit is something you either have or haven’t got. “You can’t go into Boots and buy a bottle of entrepreneur juice. It’s either there or it’s not,” he joked to the delight of his audience. However, Lord Sugar was taking no prisoners during the Q&A. As Smarta predicted, he gave a number of people short shrift. One of the audience members present was a civil servant who was worried about losing her job in the wake of the Comprehensive Spending Review. She asked Sugar if he had any jobs or contacts that could be useful to her. The multi-millionaire founder of Amstrad replied with a flat “No”. Poor Adrian Chiles, the host on the night and former presenter of The Apprentice:You’re Fired, tried to rescue the situation by asking what her skills were. But Sugar was not to be moved. As she attempted to explain her knowledge and experience, Lord Sugar told her she’d better learn to properly “pitch and present yourself”. At the close of the event, battered by Sugarisms and age-old business maxims, Smarta had to wonder: if Lord Sugar were to start from scratch now, and follow his own advice, how far would he get? TV producers, take note! This would be a far more interesting premise for a TV show than yet another round of The Apprentice meets Big Brother.